Isn't he a cutie? I just couldn't resist his sad little markdown face. Eeoyre is my second favorite Winnie the Pooh character. (after Tigger of course) He's got that move along in life thing that just makes me feel inspired for some reason. 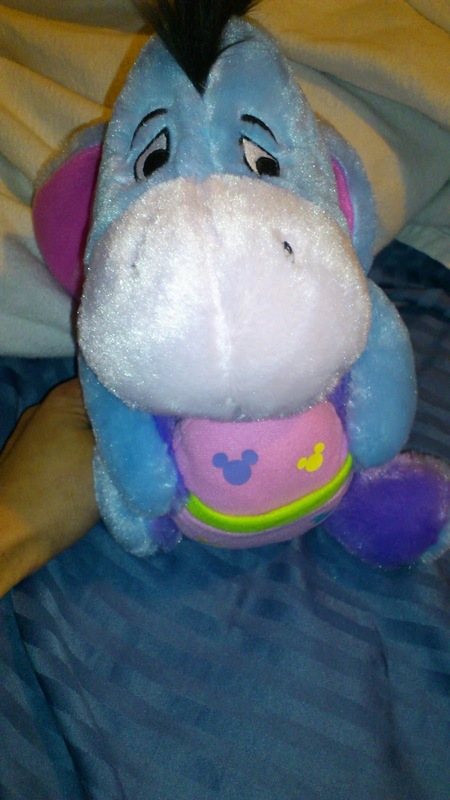 Eeyore's my favourite character from Winnie the Pooh, I've got a little collection of cuddly Eeyores. Right down to a pair of slippers, which I wore to coordinate with my Eeyore jammies when we had a pyjama day at work a few weeks back. 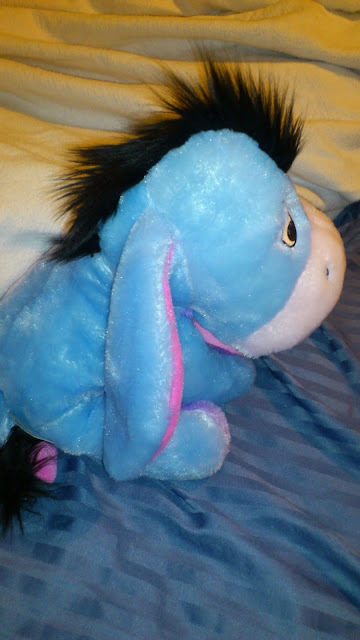 I have a cuddly Eeyore just like yours! I bought him with me to CA all from the UK. He is definitely my fave character from Winnie the Pooh. I want som pj's too now last your last poster mentions.